My car often forgets that I exist. Every minute or so, usually. 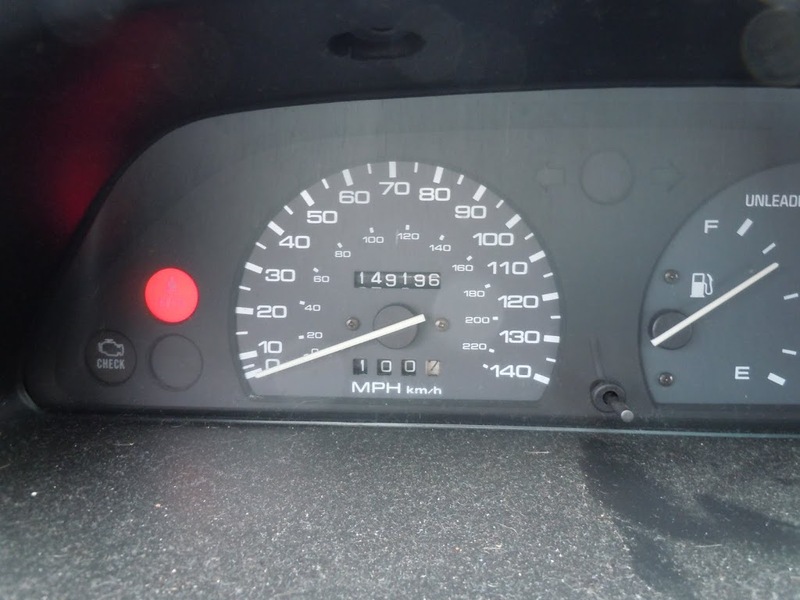 I am reminded exactly when my existence ceases to register with the ’93 Mazda 323 by a bright red light on the control panel and an annoying series of beeps. The infernal racket of the seatbelt beeping alert. Depending on just how long my nonexistence lasts, there can be up to eleven beeps. Sometimes, though, I’ll reappear after just a few beeps and my disappearance is only brief. Only a short while later, though, I’ll inevitably cease to register with the Mazda again and the beeping commences. It’s usually only me that the Mazda chooses to ignore. I’ve had friends drive it around, and it won’t beep at them at all! Whether this is a personal insult or not, I am unsure. I attribute it more to the fact that my 145 lb. frame just doesn’t stick out far enough from the seat to register with the seatbelt alert system. I’ve experimented with ways to get my car to stop beeping at me, with ways of trying to get my car to recognize my existence. “Hey, look here! I exist! I’m right here, pay attention to me!” Securing the lap belt doesn’t solve it. (When I give friends rides, they always tell me that fastening the lap belt would do the trick, but trust me, it makes no difference.) If I get annoyed at the beeping, I can pull the belt out from my chest and let it snap back, which is a temporary fix. But depending on how the Mazda’s doing that day, it might just go right back into beeping. If I move my seat forward about an inch, and tilt it up a few degrees, the beeping is considerably less. But then I’m uncomfortable! I shouldn’t have to deal with discomfort just for my car to acknowledge my existence; and just how badly do I want that recognition? So much that I would sacrifice my comfort? No! Each beep from the dashboard is a sign that I am still in charge, that I haven’t let the Mazda determine my will, to choose for me how to sit in my car. By maintaining my nonexistence, I refuse to submit to the Mazda’s will! My choice of nonexistence is the expression of my existence! I’ve come to acceptance with this nonexistence as far as the Mazda goes. 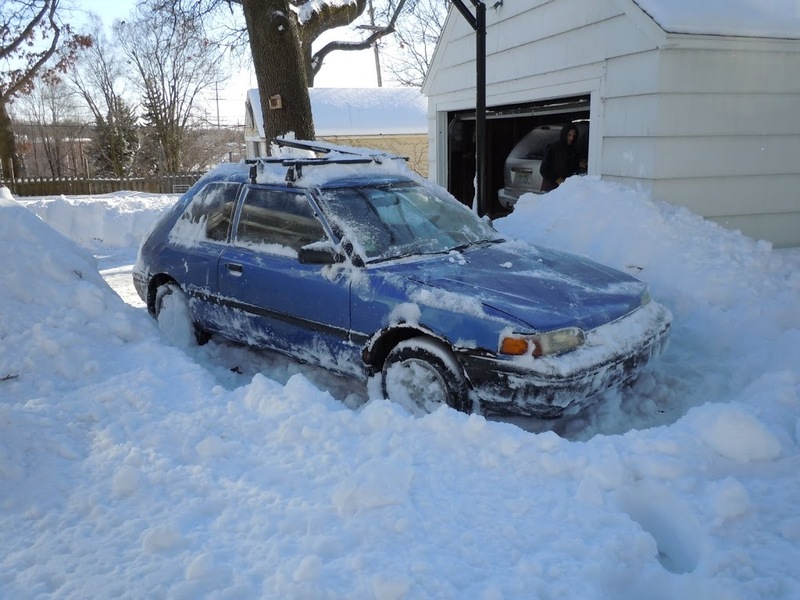 (I’m no longer hurt that despite all the loving care I’ve given it: clutch, exhaust, radiator, ball joints, tires, plugs, etc, that I remain invisible to it.) But whenever I have friends in the car, it’s always the same. What the hell is that awful noise? Oh, my car doesn’t know that I’m sitting in it. So you deal with that all the time? Man, I’d go nuts and would have had some wires cut by now! I really don’t even notice it anymore. I’m content in my nonexistent state, rolling down the road, unnoticed in the Mazda. As one of three prior owners of this car (My dad bought it in 94 when they were clearing the 93’s off the lot, and my brother drove it for a few years before I bought it from him and drove it from 2001 – 2007), I will tell you that the car also forgot I exist from time-to-time and I always used the lap belt. Over time, the weight of the drivers seems to have made a loose connection somewhere, wherever that censor is. If I could have cut the chord, I would have. In other news, I read once that they put the automatic seatbelts on that car in lieu of airbags (whatever sense that makes). As for your repairs, ball-joint and exhaust repairs were familiar on that car. I replaced a few ball joints, tie rods, and broke an axel or two…and you may notice that you go through mufflers pretty quickly also. For all it’s quirks, though, it’s a great and practical car. But yes, please don’t be offended by your seatbelt light forgetting about you.